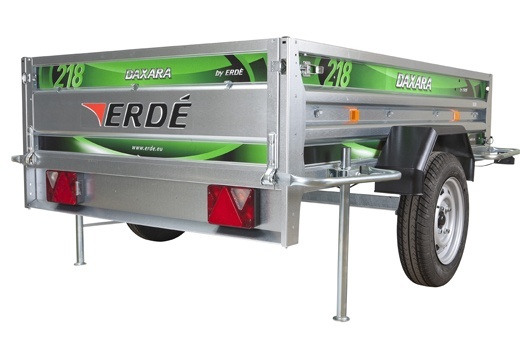 The Daxara 218.4 Trailer is the first Daxara trailer with a useable space that exceed 6ft x 4ft and still features the reinforced ‘A’ frame drawbar and 13 inch wheels. It is constructed from galvanised steel for strength and longevity and has a gross weight capacity of 750kg. Finally, the 218.4 box trailer as with all Daxara trailers meets and exceeds the new type approval legislation being enforced as of October 2012. As a result each trailer produced to these standards has to be supplied with a Certificate of Conformity, an example of this certificate is included with the trailer images above.